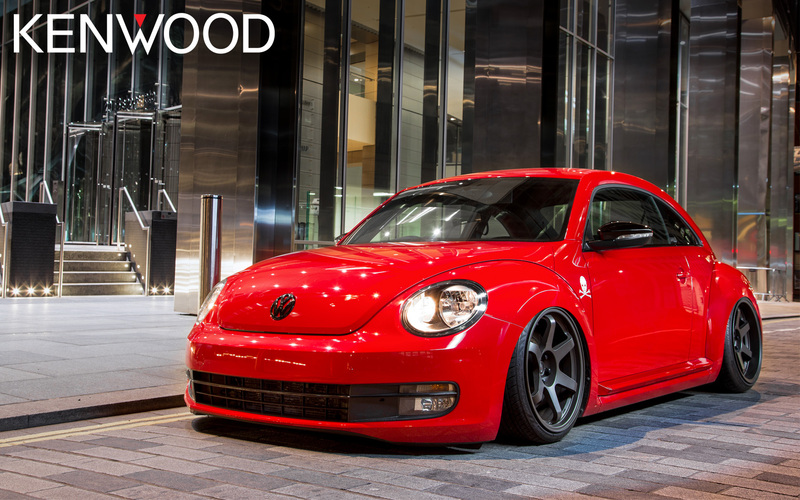 With the UK show season taking a well-earned break over winter there’s just enough time to look back at our fresh 2013 demo car – the Kenwood VW Beetle! This Tornado Red Bug has travelled all over Europe showcasing our new range of Multimedia Navigation systems, and it’s been a massive hit at every show, event and festival we’ve been to. 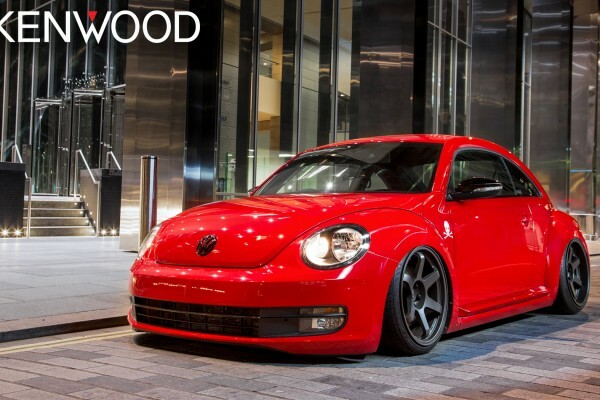 Back when it was first unveiled the Kenwood Beetle sat on a set of super-aggressive 19in Rota Grid Drifts, a matte bronze finished 6-spoke wheel with plenty of dish that looked perfect tucked under those massive arches. Check out this awesome wallpaper shot in London from earlier in the year. Download yours for free! Copyright © Kenwood Electronics UK Ltd.